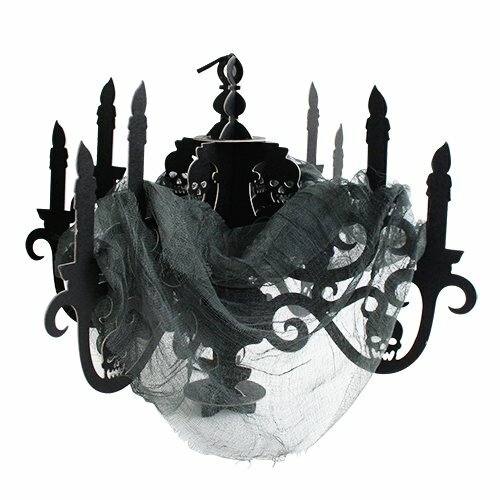 Make your home look even scarier with this halloween hanging candelabra decoration. 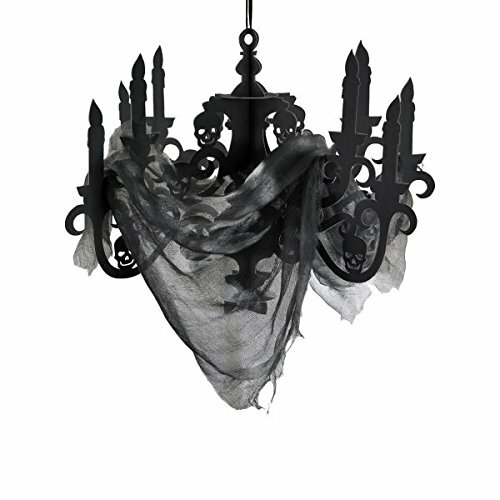 It's created in classic halloween style, which means not only is the decoration designed to scare, but it also looks very cool! made of paper, it measures 16.25" by 23" with a section of black gauze that measures 56" by 23�. light assembly is required, and when all set up, will make your guest creeped out. Whether your halloween night is geared towards tricks or treats, this product will make your holiday celebration extra fun. Contains: 1 Paper Candelabra 16 1/4" x 23"; 1 Gauze, 56" x 23"